As a technology leader in quality and system management, 2A|Machine is the most advanced manufacturing facility in the Northwest. 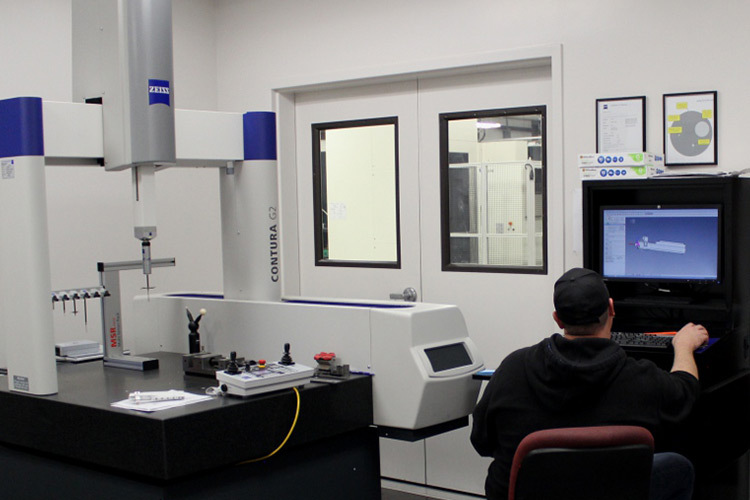 Utilizing the latest in CMM automated metrology for first article, in-process and final inspections, we have refined our quality inspection process, and quality control. Our internal inspection procedures during the product manufacturing process goes far beyond client specified acceptable quality level (AQL) sampling plans. 2A|Machine, with CONTURA G2 technology, can reduce inspection time by at least 80% with 100% more accurate monitoring of machine tool wear over the length of production. 2A|Machine focuses on the manufacturing of precision products, so our clients can concentrate more on innovation.